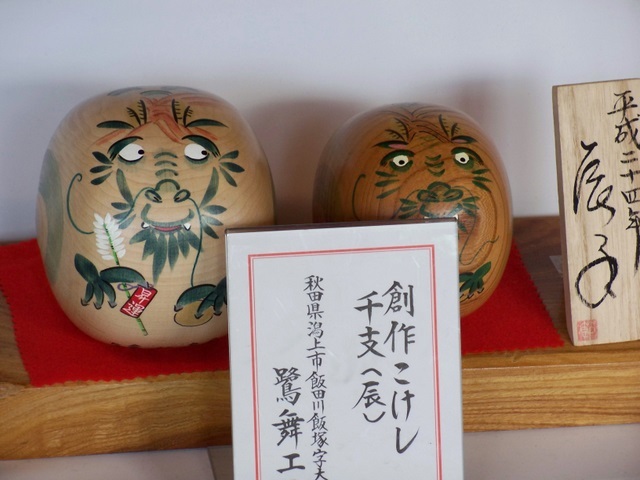 New balls – I mean posts - at Trapped by Monsters: The Tanuki who Spooked Me and On Being Inappropriate. 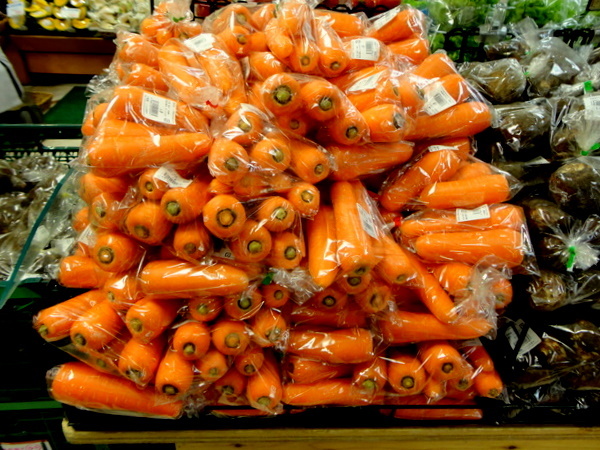 Here (below) are some carrots. 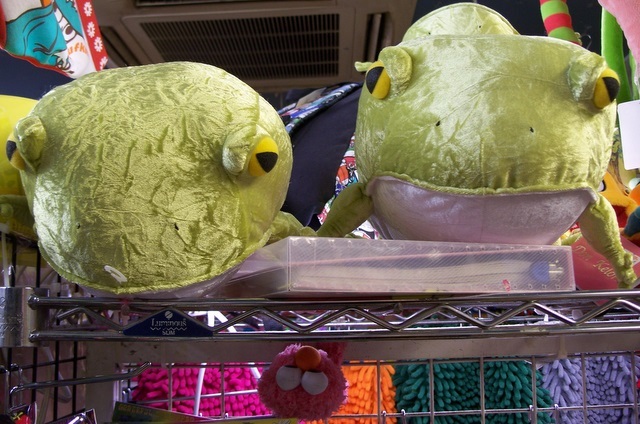 The Japanese word for them is ‘NINJIN’. 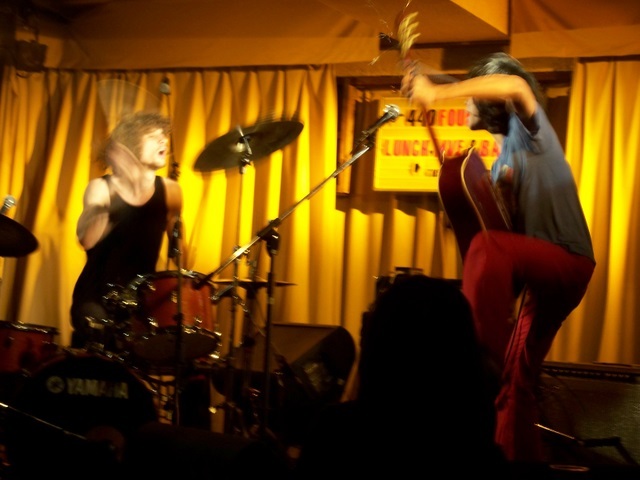 Here (below) is one of the best live acts I’ve ever seen in my life – the awesomely raucous Ken South Rock - playing, last night, a song the title of which is the Japanese word for people: ‘NINGEN’. Here (below) is the best paragraph I read in 2011. It comes from Hokkaido Highway Blues, by Will Ferguson, a wonderful book about travelling in Japan. Describing what a challenge similar-sounding words in Japanese can be, the author provides an important message to keep in mind as we plunge on into 2012. 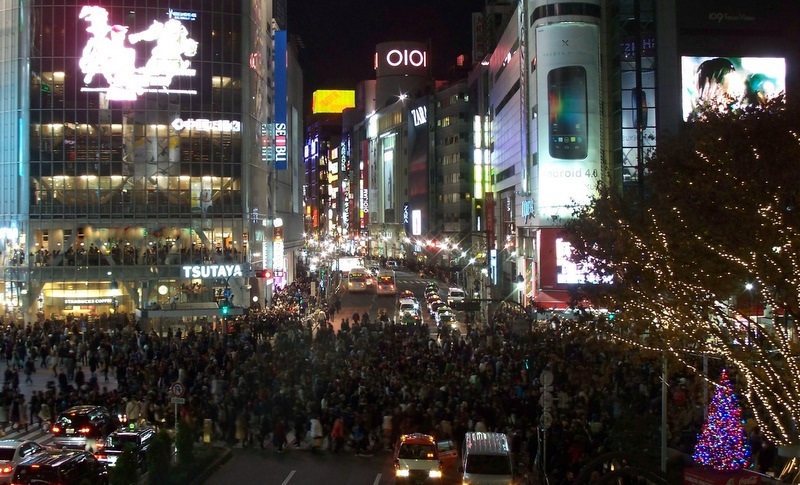 This, in case you didn’t know, is Shibuya Crossing. Watching it as the lights change is hypnotic. Whether it’s Christmas you’re celebrating, or (like the Japanese) New Year is the big thing for you, or what, here’s wishing A Very Happy, er, Thing! to all readers. …and, of course, the occasional stare. But that was probably just because he’s heard how much takoyaki I’ve been eating. 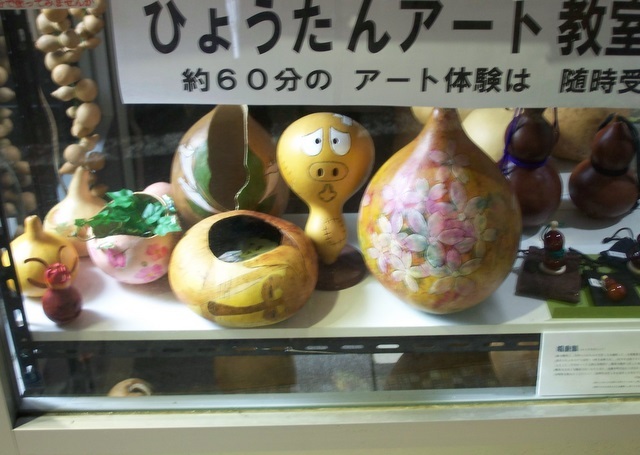 Meguro Parasitological Museum is awesome. See the brown, um, detailing on this t-shirt? It’s part of the design. 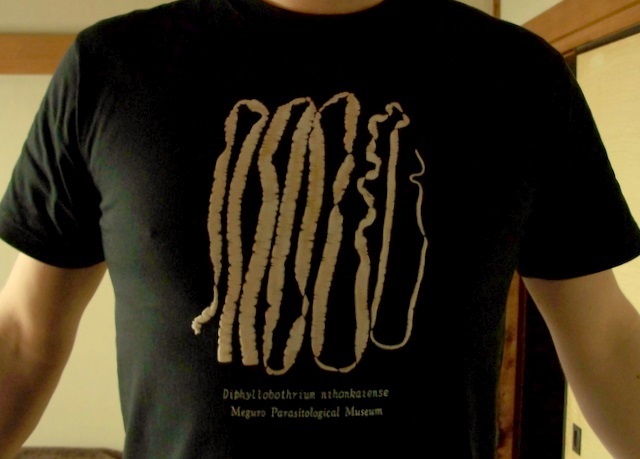 This t-shirt celebrates the pride of the museum’s collection – an eight metre long tapeworm. 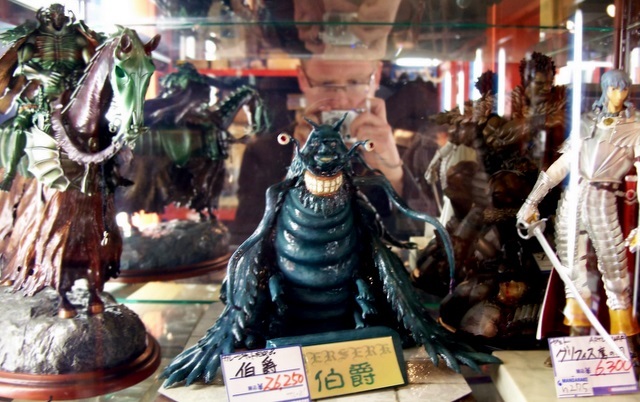 As anyone who’s read Crawlers will probably have guessed I’m fascinated by parasites: I knew I was going to visit this museum as soon as I heard about it. 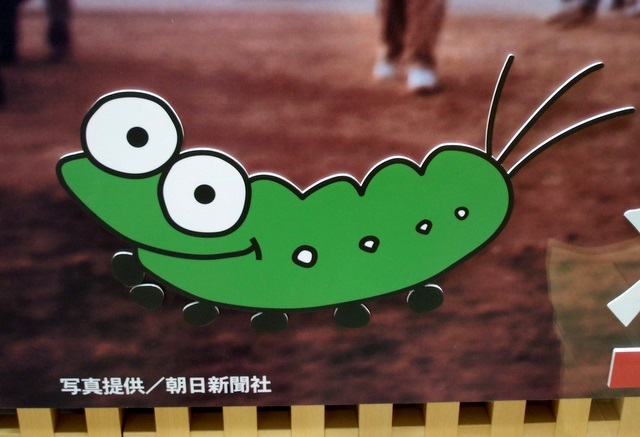 But here in Tokyo I hear Meguro Parasitological Museum is also considered a great place for a romantic date. 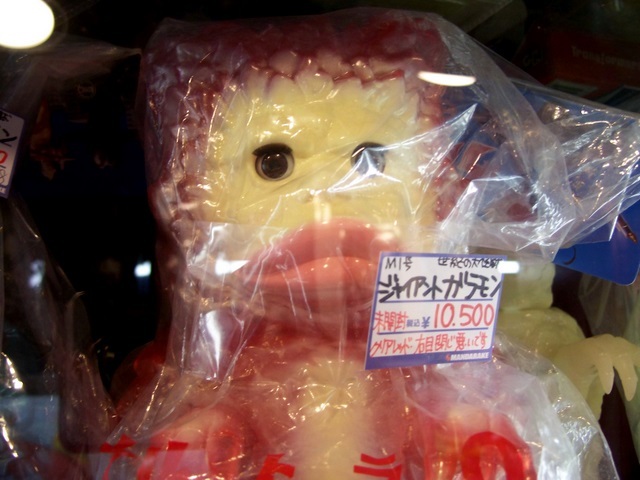 One reason I came to Japan was to look for monsters. One place I’ve found them is Mandarake, in Nakano Broadway. It’s a hive-like mall of small stalls selling manga, anime, idol merch and all kinds of other stuff. 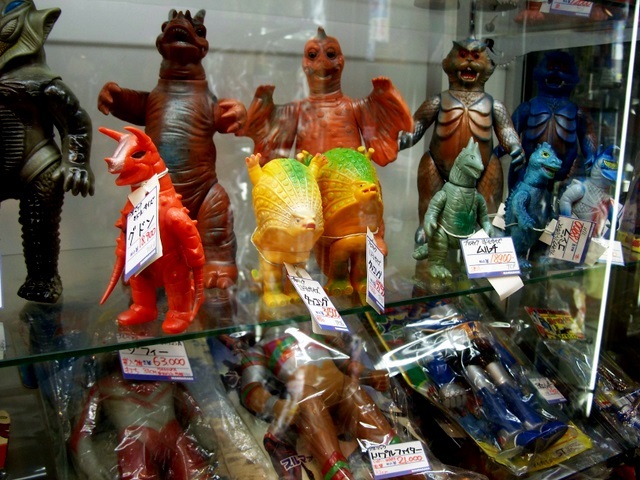 My favourite things were the toys and figurines from old tokusatsu films and dramas. More faces of Tokyo coming soon. That people are out there tracking down strange, amazing, otherwise-impossible-to-find things and showing them to the world is probably what I love most about living in the internet age. But what was new in 2011 for me was that much of the music that thrilled me this year reached me in the form of compilations. Every week brings a new themed selection – always interesting, sometimes nothing short of stunning. If you’ve time to spare (warning! it’s addictive!) 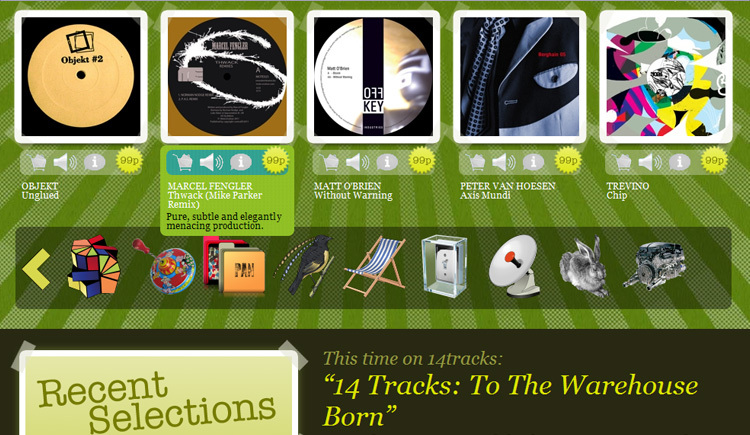 check out the 14Tracks back catalogue: it’s full of treasure. Examples? Concrete Phantoms collects jaw-dropping experimental music from back when sampling was done by splicing tape: I’d read about this music but had no idea how to go about hearing it, so I was (and continue to be) astonished and delighted by that one. Other 14Tracks favourites of mine include the teeth-whiteningly awesome industrial racket of No Hat, No Boots = No Job, and whenever I want to feel like I’m in a seedy Italian horror movie – which is often – A Giallo Thriller has me covered. Bollywood Bloodbath is blinding. That’s all I’m going to say. Hit this link and hear for yourself. With the passion of a fan – but also with the precision of someone determined to do right by its creators – this book introduced me to a world of great music that I’d known next to nothing about. New favourites for me now found through Seasons They Change include this, and this, and this! 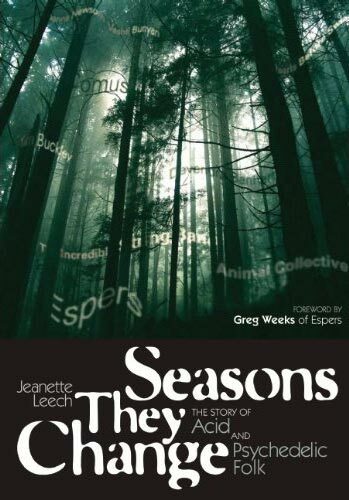 For further details on this excellent book and a link to an accompanying Spotify playlist by the author, click here. What amazing music am I going to hear for the first time in 2012? Here’s looking forward to finding out. Hee hee hee! Spotted this guy soon after arriving here. I knew how he felt. 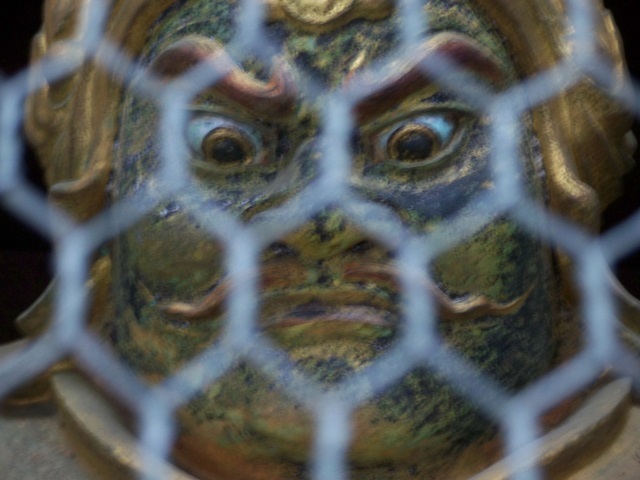 This fellow below was guarding a shrine at Mount Takao. I think the wire was to protect me, not him. 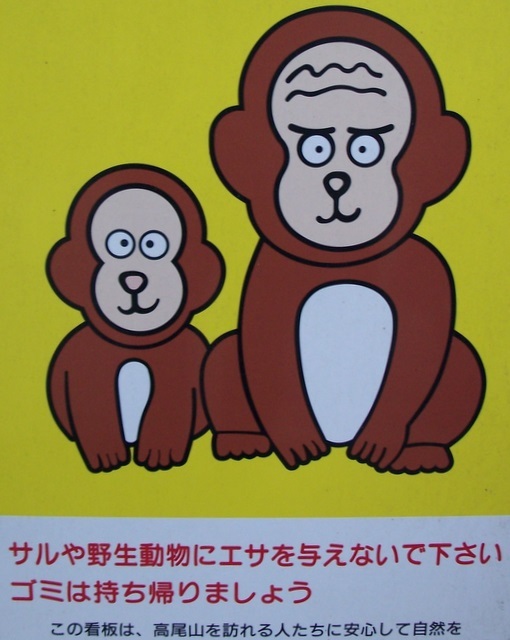 I met these two characters below at Meiji Jingu, a very solemn and serious place. 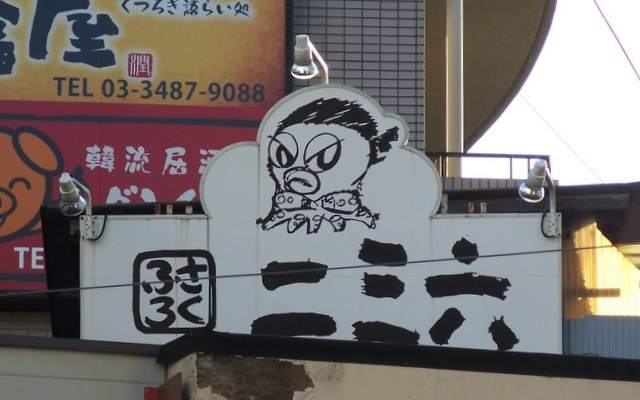 …More faces of Tokyo to follow. Posted by samenthoven under Bwaha. BwaHAHAHAHA! 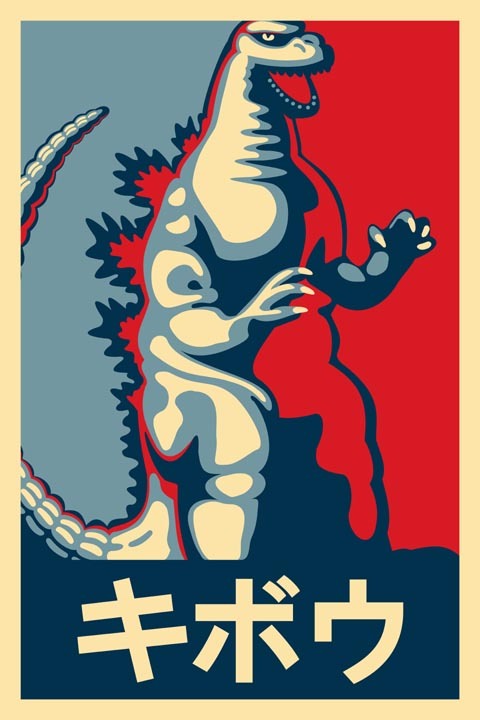 If Godzilla became America’s president, could Tim become Britain’s prime minister? I saw the first reports on Twitter last night as I was finishing up the day’s writing: Russell Hoban has died. There have already been some fine things written about him. Here’s an obit in UK paper The Guardian. 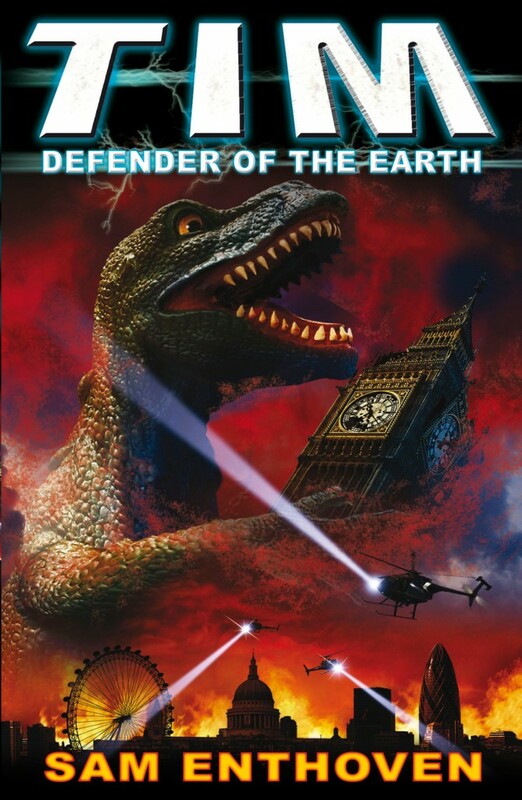 This one from his editor David Lloyd, is my favourite. Though his creativity remained as strong as ever, Mr Hoban had been physically very frail for some time. I knew, via The Kraken, a mailing list of fans, that he was in hospital again: that’s partly why I posted Door below, as a way of wishing him well. Today I’m very sad. As well as his warm and wonderful books, he leaves us his example. In a world which often seems like it only cares about the bottom line he pursued his own creative path where it led him, producing beautiful, original, astonishing writing on the way. In recent interviews he said he’d begun to think of death as ‘a good career move’ – and maybe the flurry of tributes from readers all over the world who’ve been touched by his work will inspire more to discover it. Soonchild, coming in March, looks like it will be another Hoban treat. But right now, rather selfishly, I just wish he was still alive and working, so that I would have more of his books to look forward to, and know that one of my heroes was still there. Theme: Connections Re-Reloaded and then Chewed up by Giant Dinosaurs by Catlikeadogproductions.com. Derived from Connections Reloaded v1.5 by Ajay D'Souza and Connections.